Paul Rogers is Professor of Peace Studies at the University of Bradford. "Analysis and perception is provided admirably by Paul Rogers' short, punchy book. Perhaps surprisingly, given the disastrous situation he is describing, Rogers sees reasons to hope amid the carnage and despair. For all our sakes, we can only hope he is right." "Rogers' analysis is insightful and his damning appraisal of the past, and pessimistic vision of the future, are sobering." "A very good overview of the motives and consequences of US policy since 9/11. Rogers is particularly good at analysis of military affairs, but ably locates it within the wider political context and provides some revealing insights." "Rogers writes with authority and incisiveness." 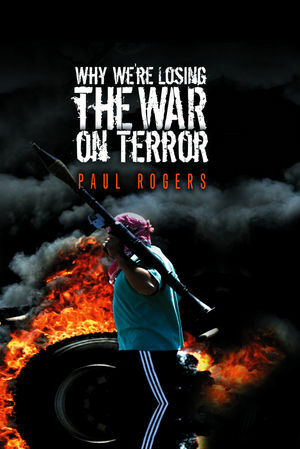 "Paul Rogers is one of the foremost British academic commentators on the American-led 'war on terror'. Like all ambitious and mature scholars, he takes as his field the entire terrain of conflict, from the technological and economic factors, to the political, social and ideational factors that have shaped public policy. Rogers' view is refreshing because he is not bound by the traditional strictures of critical political economy that tend to place undue emphasis on single factors. While he quite rightly places the economics of national interest squarely in his sights, he also takes a great deal of effort to show how both technological and ideational factors come into play." "Paul Rogers has produced the best guide I have read to the post-9/11 international security environment; its origins, nature, and consequences." "Paul Rogers' short book packs a mass of tough wisdom and reasoned provocation into its 180 pages. He sees the war in Iraq as a delusion; one that condemns us to a long war against 'Islamo-fascism'. This book is not prescriptive, but challenges us all to a debate. Everyone involved with the practice and policy of national security should read, think and argue about it."